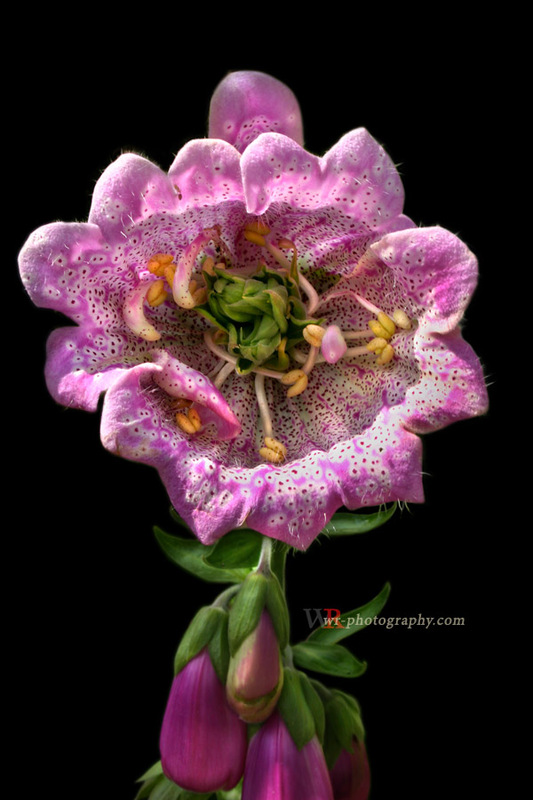 Aberrant giant terminal flower of a foxglove; the phenomenon is called pseudo-peloria. It is caused by a mutation. A plant that would normally have zygomorphic flowers produces aberrant actinomorphic flowers instead. In foxglove plants this often results in a single giant peloric terminal flower, whilst the other flowers remain zygomorphic.